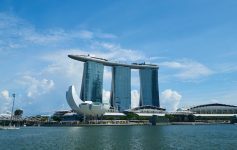 Would you like to travel more and not spend a lot of money? Sounds crazy, but it can be done. You don’t even have to spend more money than you already do on a daily basis. 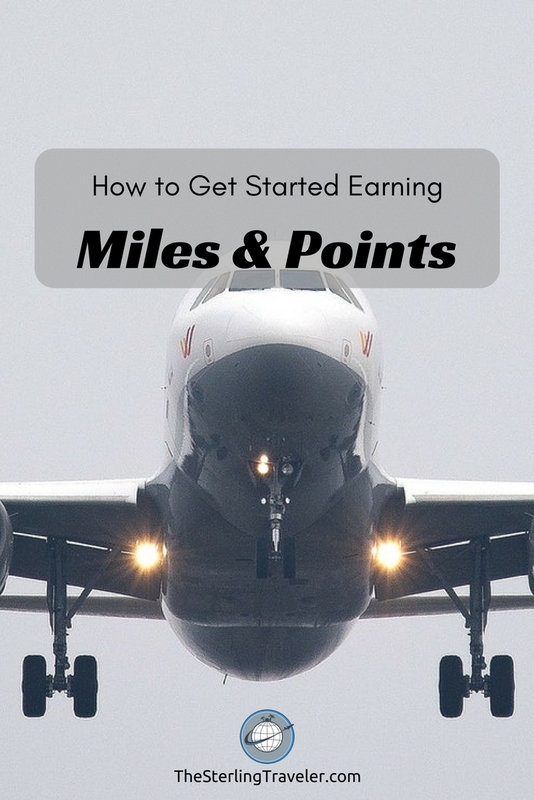 All you have to do is learn how to earn miles and points. It’s quick and easy to learn. In no time at all, you’ll be on your way to being able to travel more often and better than you have ever imagined. 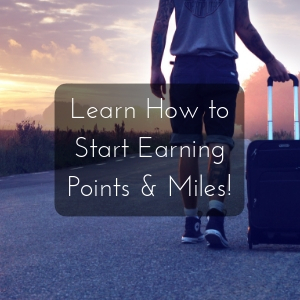 When first getting started with earning miles and points, it is good to have a goal. What do you want to do with your newly earned points and miles? That might be something aspirational like flying to Dubai in business or first class, or staying at a hotel for free in New York, for a week. It might be more basic like taking your family to Hawaii or Disneyland. Goals you make, in general, should be realistic, timely, and specific. If you said your goal was to travel more or take a free trip, that may not be a good goal. Ask yourself these questions… Where do I want to travel? How do I want to get there? When do I want to go? If you’ve answered them, then it should be much easier to make a goal that is attainable. I have said many times that the value of your points can, and will change. 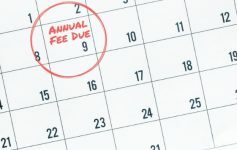 Airlines and hotels have no obligation to maintain the value of their programs, and they might not even give anyone advance notice of the change! If your initial goal is something that requires hundreds of thousands of points to travel, then it might take you awhile to earn what you need. By the time you have earned what you thought you needed, then you might need to earn more – which will further delay achieving your goal. This is also why I tell people it is important to pay attention to the changes that airlines and hotels make to their loyalty programs (read more here). “A goal without a plan is just a wish”, Antoine de Saint-Exupéry. Knowing how to achieve your goal and making a plan to do so will only help you achieve your goal. I know that this sounds like it came from a self-help book, but trust me… it will be much harder to achieve your goal if you don’t have a plan. When you made your goal, did you figure out how many points and miles you need? You don’t necessarily need to know, but it wouldn’t hurt. Knowing how you’ll earn the miles and points is key to coming up with your plan. Whether you already travel a lot for business, or planning on signing up for a credit card, you’re already on your way to making a plan and achieving your goal. This may be obvious, but there are still a lot of people who don’t earn miles when they fly. Even your 3 month old baby can earn miles! That is, as long as they have their own paid ticket. Earning airline miles when you fly is one of many things that doesn’t costs you any more than your regular airfare. Of course, this is assuming that the airline has a loyalty program. You don’t, however, need to earn miles in the loyalty program if the airline you’re flying. Many airlines have partnerships with other airlines that allow passengers to accrue (and oftentimes, spend) miles when flying on either airline. Knowing (or at least knowing how to find) who is partners with who is part of earning miles and points. Typically, the airline’s website will have the information; however, it’s not always easy to find. If you can’t easily find it on the airline’s website, then do a Google search for it. Usually, if you Google “american airlines partners” (or whatever airline you’re considering traveling), then you’ll find the answer in the first 1 or 2 search results. Now that you know an airline’s partners, where to credit the miles for your flight is another question. 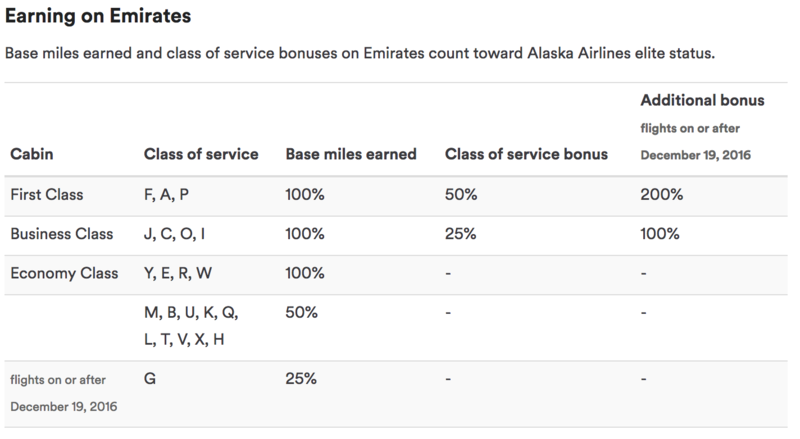 You may earn a different amount of miles if you credit your flight to one airline than you might to another. Figuring this out take time, but it gets easier with experience. Let’s use two flights on Emirates, one in economy and one in business, as an example. Emirates has 15 partner airlines. We’ll keep it simple and only include US-based airlines so this leaves us with Alaska and JetBlue. For the economy ticket, the earnings are the same for JetBlue and Alaska. The difference between these two programs is that JetBlue TrueBlue points don’t expire, whereas Alaska MileagePlan miles do. In this case, it might be better to credit your flight to JetBlue. That decision flips when comparing the earning rates for the business class flight. 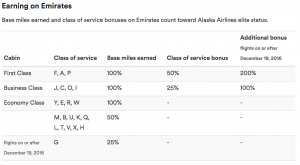 You’d earn many more miles if you credited the flight to Alaska Air. It’s no secret that one of the easiest ways to earn miles and points is to get a rewards earning credit card. I am often asked which credit card someone should sign up for. As much as I don’t like answering a question with a question, it can’t be avoided. There really isn’t a perfect one-size-fits-all credit card; though I tend to recommend credit cards with no annual fee to get them started.. To help answer the question, I typically ask two questions, 1) What do you usually spend money on? and 2) Are you able to take the money you get back from a credit card and save it up to travel? People’s spending habits vary from person to person or family to family. If you live with family, then you probably spend more at a grocery store than someone who lives alone. Therefore, a credit card that earns more points at a grocery store would be better for the family than it would be for the single person. For someone who might not be as disciplined and might use that cash back towards paying for other things, then a card that earns points would be best. 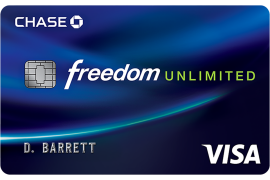 For them, I highly recommend the Chase Freedom Unlimited card which earns 1.5 points per dollar. Click here to apply for the Chase Freedom Unlimited (referral link). It’s good to start with the basic and these two credit cards are free to have and the rewards are simple. 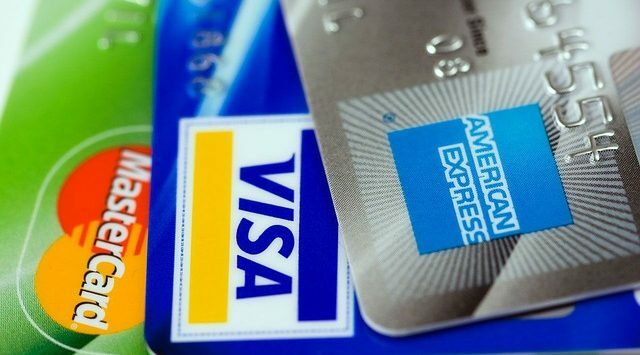 No matter which card you choose to get first, I cannot stress enough that you should be financially responsible with the card. Don’t overspend and always pay off the card in full every month – no exceptions! 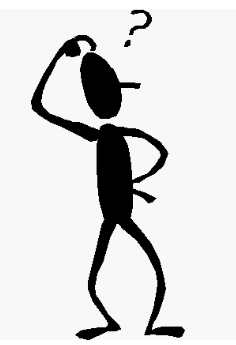 Not doing so will quickly negate the rewards you earn due to the interest that will accrue. Now that you’ve gotten your credit card, signed up for (likely) multiple airline and hotel loyalty programs, now what? That’s quite a lot of points in different accounts to keep track of. You can, of course, manually log into all of your accounts to make sure that you have the right amount of points and their expiration. Let’s face it… ain’t nobody got time for that! 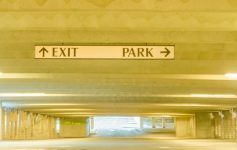 Earning points is easy, and having something else do that work for you will save you a ton of time. Like I said before about learning, this is quick and easy too. It is, however, very important and cannot be ignored!. Here’s what you have to do: subscribe to my newsletter using the form below and you’ll receive my 3 best tips to managing your points and miles plus an exclusive promo code. You won’t regret it. Smart tips Adam! Big fan of using the right card too. I see from points earned on recent flights how choosing the right card that nets the biggest rewards boosts points and really eats up flight ticket costs. Pretty darn quickly. Points definitely can add up quickly, but don’t get too focused on using just one credit card. Unfortunately, one card does not rule them all. I think your thought process is what a lot of people go through. It may not be wrong – 500 points might not get you much, but that’s why you should still earn them so you can turn that 500 into 10,000! I seriously need to jump on the points and miles wagon. I am always so lazy to pull out the card and add the number! Great guide to get me in the groove! Thank you for coming to Fly Away Friday! See you tomorrow! Janine, getting started is super easy. 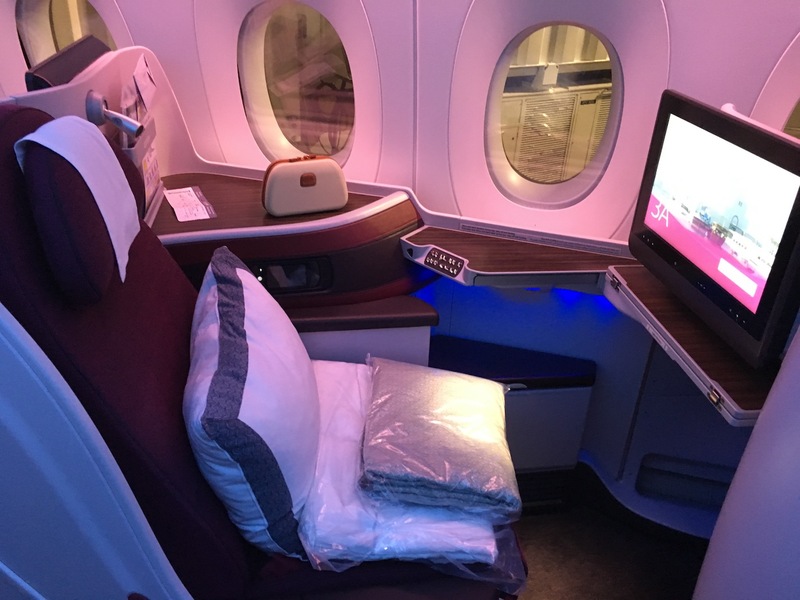 Using miles & points enables me to travel better than it would otherwise be possible. Let me know if you want any extra advice or push to get you started. Great guide! I LOVE accumulating miles and points …It always makes me feel like I’ve accomplished something when I get to redeem it! Lol. I love my Capital One Card Venture card. I don’t really bother with brand loyalty since I can get more points with the card across all airlines and hotels. Jaime, you have a good point. Credit card points are typically fairly straight forward with a fixed value whereas airline and hotel points don’t. You shouldn’t overlook airline and hotel points though. I’ve routinely gotten tremendous value from both. I didn’t know that other airlines in an alliance might credit your account more than the one you’re actually flying. I will have to keep that in mind for the future! That’s a bummer that you feel that way about your Capital 1 card. Maybe it’s time to re-evaluate which cards you have and the spend that you put on your cards? By all means, feel free to reach out to me if you need any guidance. There are some rewards programs that are very straight forward. Thank you for reading.